This two-tiered cake was a dense, moist, rich chocolate cake. It was filled with alternating layers of chocolate ganache and Chocolate Swiss Meringue Buttercream. The bottom tier was decorated with alternating stripes of antique red and antique gold modeling chocolate. 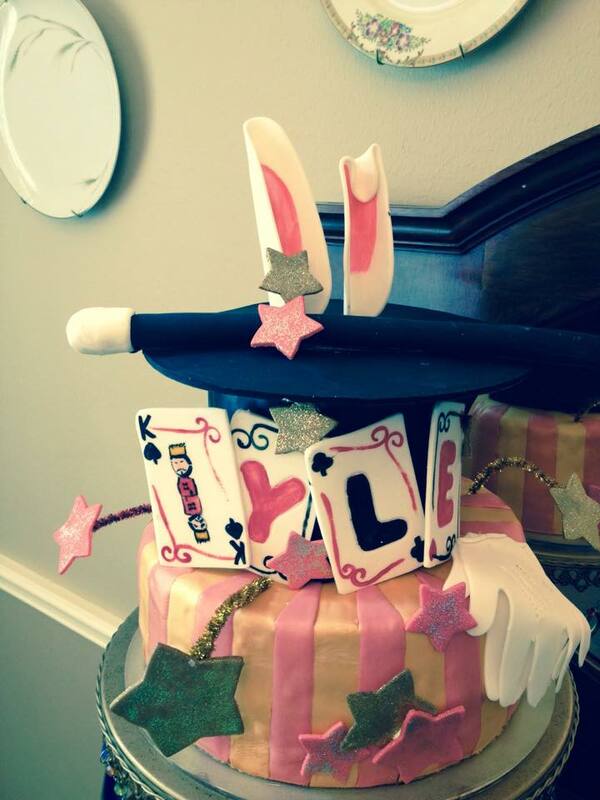 The top tier was wrapped in black fondant and a dried fondant Top Hat brim was place atop. Adorning this cake were dried fondant details that I hand cut, sculpted, and painted. The accessories include bunny ears popping out of the top hat, playing cards that spelled the Birthday Boy’s name, White magician gloves, and sparkling mystical stars. 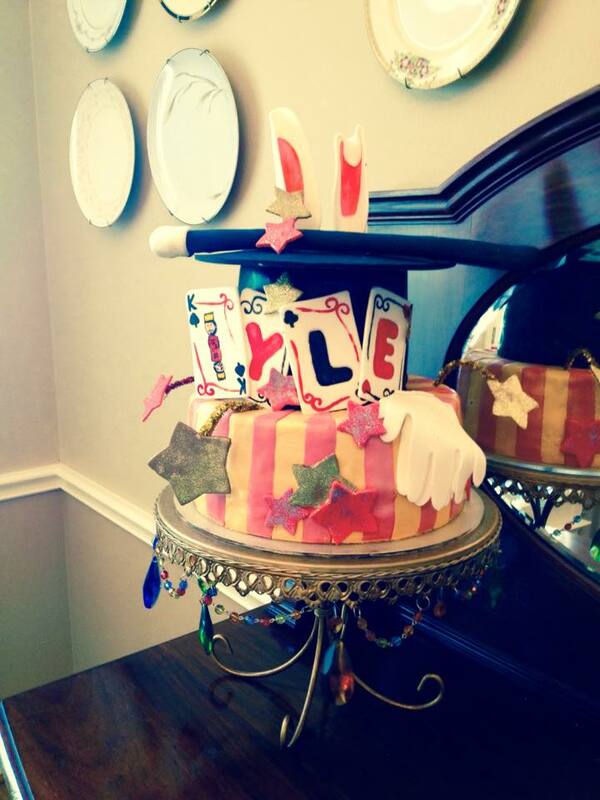 This cake was a huge hit and disappeared faster than you can say “abracadabra”! Happy Birthday, Kyle!! Posted in UncategorizedTagged birthday, boy, cakes, magic, magician, modeling chocolateBookmark the permalink. We were beyond excited to see Reagan’s vision come to life with this cake. She was very easy to work with and even loaned us a stand that complimented the theme perfectly. This cake even tasted as amazing as it looked!!! I cannot wait for another occasion that calls for one of her spectacular creations. Highly recommend Sweet Nothings by Reagan!